The firm of chartered surveyors, Edward Buckland Ltd, has presented a cheque for £11.4k to the Farming Help charities. 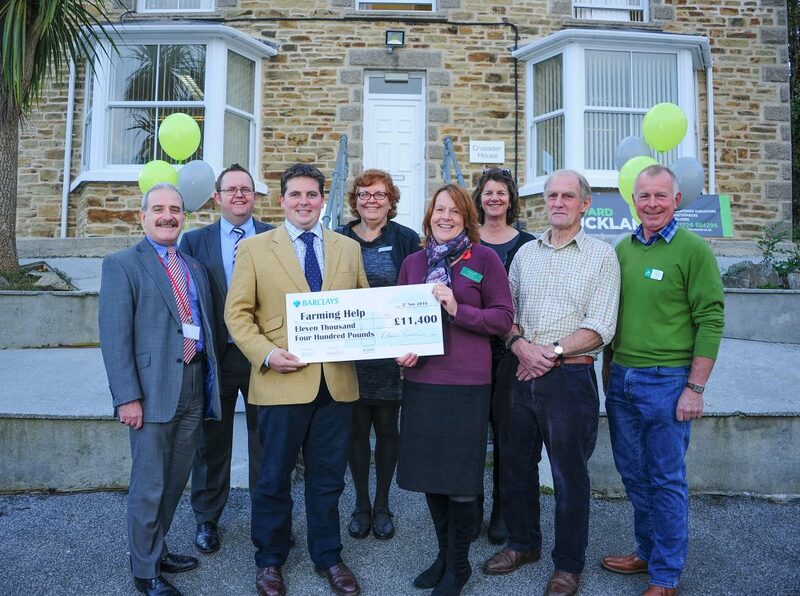 The charities – Royal Agricultural Benevolent Institution (RABI), Addington Fund and the Farm Community Network – were invited to a special presentation at Edward Buckland’s new Truro premises to receive the money which was raised at the third Royal Cornwall Show Charity Auction. The event was jointly organised by Edward Buckland, Cornish Mutual, PKF Francis Clark and the South West Agricultural Division of Barclays Bank, all of whom were in attendance for the presentation. This now regular fixture at the Royal Cornwall Show continues to grow year on year and see’s vital funds being raised for these charities benefiting the rural communities across Cornwall and Devon. The presentation coincided with the official opening of Edward Buckland’s new premises at Crusader House, in Newham, Truro where clients old and new were welcomed along with a number of professionals from local businesses who also came to show their support.